So, last night were the VMAs and like many kind folk, I was ready to (hopefully) enjoy an evening of entertainment and fun. I had recently got home from “running” a 5k and after showering and decompressing, I laid on my bed, dark chocolate Magnum ice cream bar in hand, and turned to MTv. Little did I know what lay ahead on the 2013 VMAs. Like any red blooded American woman-of-a-certain-age, I was very much looking forward to the rumored NSYNC performance/reunion. Robin Thicke was performing, Lady Gaga was going to be doing stuff, and Katy Perry was slated to continue to force her music down our throats-this time from under a bridge! 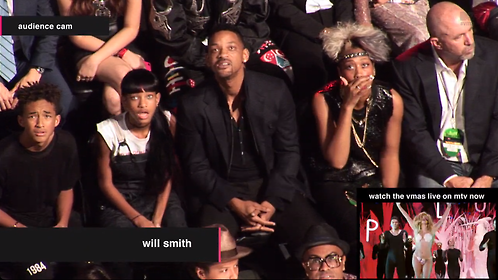 I hadn’t realized that Miley Cyrus was going to sing to twerk at the show. Had I known this, I would have adverted my eyes and found an eyelash that needed to be plucked. ANYTHING would have been better than sitting through THAT. Why Robin Thicke? Whyyyyy? Liam, there is still time to walk away. This chick will totally disrupt the soothing calm that lays deep within your beautiful, beautiful eyes. In other words, chick is crazy. Sorry, not sorry. Now, in more enjoyable, less traumatizing other news, Justin Timberlake got the Video Vanguard award. I mean, it was cool and all to see him perform like 20 songs for half an hour (wish I had known that was going to happen before I paid $125 for his Legends of Summer tour, but whatever). However, the dude is only like 32 years old. He’s got another album coming out in a month. Shouldn’t awards like this be given at the end of one’s career and not during? But, hey, it got NSYNC back together, for albeit 5 minutes. IT. WAS. WORTH. IT. Macklemore and Ryan Lewis preached about equality and got J-Hud to join in and shut it down. And oh yea, Kanye danced in front of a screen and Drake did some things. 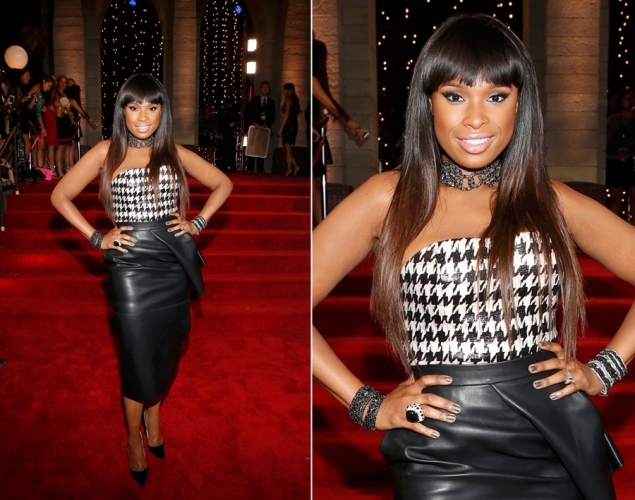 Performances aside, VMA fashion is always a topic trending the next day. I mean, no one wore a meat dress this year. And Lil Kim “contained” her assets this time around, but there were still some distinctive outfits. 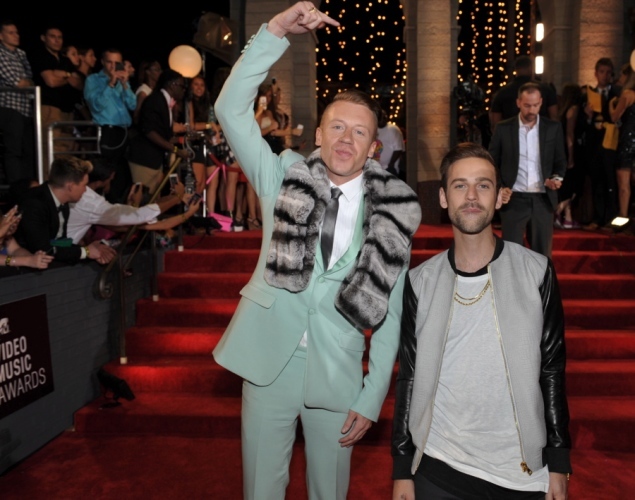 Macklemore and Ryan Lewis…Really wish Ryan had at least tried, but Macklemore makes up for him. This time. Alright kiddies, that’s all I got. Till next time.